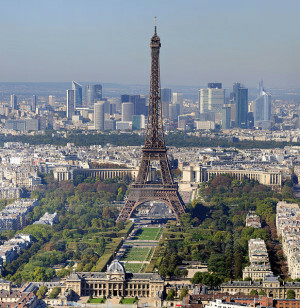 When we think of Paris attractions, there’s a major attraction to come to mind – the Eiffel Tower ! But, there’s so much more to the City of Light than just this historic landmark. Arc de Triomphe, the Champs-Elysees, Notre Dame Cathedral, the Palace of Versailles, the Pantheon, and Sacre Coeur, to name just a few. Then there are the museums and galleries, first and foremost of which is The Louvre, but if you have the time there are many others to visit too. 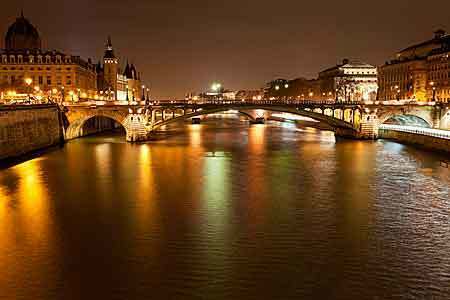 For some visitors Paris is just a wonderful place to soak in the Parisian atmosphere. From one beautiful piece of architecture to another – The Palace of Versailles is an amazing place, and although it’s not within the city centre you should definitely try to find time to visit it. 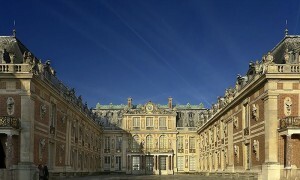 When the palace was built, Versailles was just a small country village, set some distance from the heart of Paris. Today, following years of the city growing and growing, Versailles is now a suburb, about 20 kilometres from the city centre. This vast palace has a floor area of 67,000 square metres and a total of 2,300 rooms. It was the centre of political power between 1682 and 1789 when Louis XIV decided to move out of the city. The Royal Family lived there just over one hundred years until the beginning of the French Revolution when they had to return to Paris. Today although it is a major tourist attraction the palace is still used for official events. It’s also a major museum with a collection of over 6,000 paintings, 5,000+ objets d’art and furniture, more than 2,000 sculptures, and over 15,000 engravings. Named after its engineer, Gustav Eiffel, the tower was built in 1889 as the entrance arch to the 1889 World’s Fair. It was only intended as a temporary structure and almost faced demolition in the years after the World’s Fair because it, ironically, wasn’t very popular! Only the fact that it was useful as a communications tower saved it from destruction, and today it is one o the most iconic landmarks in the world and the most visited paid-for attraction in the world with over 7 million visitors per year. Climbing, or riding the elevator to the top is something that every visitor to Paris must do, but be prepared for a long wait. Queues can be several hours long during the busiest times but it’s worth the wait! The tower stands 324 metres high and has three levels – the highest can only be reached by elevator, but you can get to the other two by stairs. There are restaurants on both the second and third levels and these make an absolutely memorable place to enjoy a meal while visiting the city. This attraction is not for anyone who is afraid of dark and confined spaces. It’s also a little creepy, so may not be suitable for younger children. The Catacombs attract thousands of visitors every year though, and have actually been a tourist attraction since the late 18th century. Once stone mines under the streets of Paris, the abandoned tunnels were seen as a good place to keep the remains of several million skeletons when the city’s cemeteries became overcrowded. Moving remains to crypts underground sounds like a terrible thing to do, but the tunnels were officially consecrated and the remains were very neatly stacked, as you’ll see from the rows and rows of skulls and other bones. The tunnels stretch for miles but as is often the case only a small portion are open to the public due to safety concerns. Still, the sections that are open are supposedly perfectly safe, and although this is a macabre attraction it’s popular all the same. Musee du Louvre is the foremost museum in Paris. 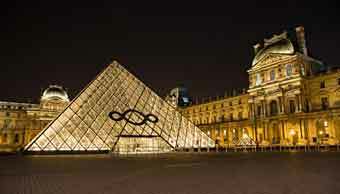 In fact, the Louvre is one of the world’s largest museums and one of the best known and most visited museum in the world. It takes up a floor area almost as big as the Palace of Versailles. 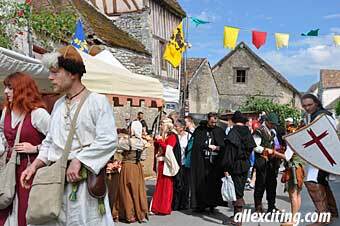 It started as a fortress that was built in the late 12th century. Not much remains of that original building, and there have been numerous additions to it over the years. It was extended to serve as the Louvre Palace, but when Louis XIV decided to move to Versailles the Louvre then began its longstanding job as a place to house and display the royal collection. It officially became a museum during the French Revolution, and opened in 1793 with an exhibition of 537 paintings. The collection has grown since then and now has over 380,000 objects, and 35,000 works of art, all set over eight different departments. 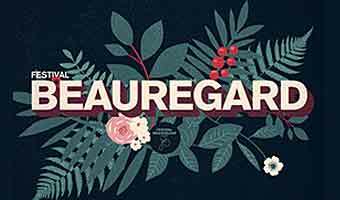 Because The Louvre is so large you cannot possibly hope to see it all in one day, so either plan to visit on several different days, or plan in advance which sections of the museum you’d most like to see. They include Egyptian Antiquities, Near Eastern Antiquities, Greek Etruscan and Roman, Islamic Art, Sculpture, Decorative Arts, Painting, and Prints and Drawings. It honours those who fought and died for France in the French Revolution and the Napoleonic Wars and underneath is the Tomb of the Unknown Soldier from World War I.
It’s difficult to conceive how large this triumphal arch is until you actually stand up close to it. 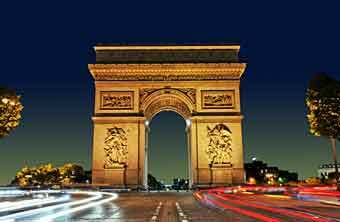 There’s a viewing deck inside, and the arch is so wide that a biplane was famously flown through it shortly after the end of World War I.
Arc de Triomphe is at one end of Paris’s most famous street, the Champs-Elysees, which also is one of Paris attractions. 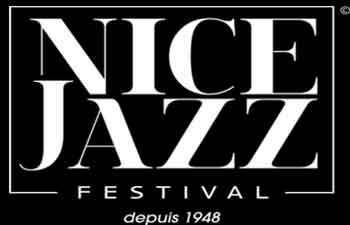 It stretches 2 kilometers right through the 8th arrondissement and the most exclusive and expensive part of the city. It may not be the prettiest cathedral in the world, but after a second glance this church, completed in 1345, actually holds a great deal of beauty. 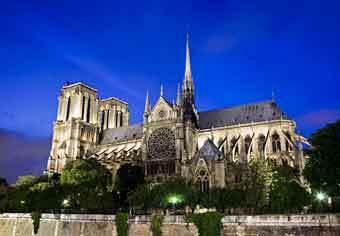 It is one of the world’s most famous cathedrals for sure, thanks in large part to the efforts of author Victor Hugo and his novel The Hunchback of Notre-Dame. Because of the success of Hugo’s novel, a major restoration project was started that actually gave the cathedral much of its present appearance. 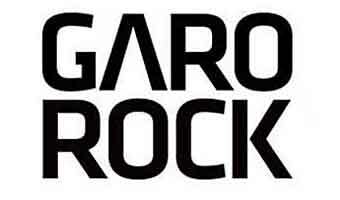 The novel is said to have led to the popularity of Gothic Revival architecture in France, so the novel really is an important part of the culture of the city. When visiting Notre-Dame be sure to go inside to see the beautiful stained glass and other architectural elements. 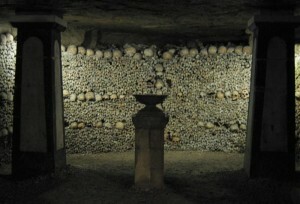 You should also venture down into the crypts where you can see snapshots of the long history of Paris. Historical ruins were discovered that go right back to the founding of the city in Roman times and are really quite fascinating to see. 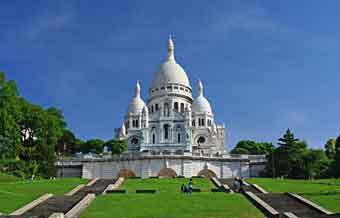 The Basilica of the Sacred Heart of Jesus of Paris, more commonly known as Sacre-Coeur, is probably the second most famous church in Paris. This is a church that is stunningly beautiful from the outside, and has quite an amazing interior too. The striking white of the façade, and the fact that this church stands on the highest point in the city, makes this a major landmark, and definitely one that you should travel to see. Perched high on Montmarte the climb up to Sacre-Coeur can be a little challenging, but it’s well worth it when you see the views from here. Thus Roman Catholic minor basilica was built between 1875 and 1914, and was consecrated following the war, in 1919.